I’m one of those weird people who actually likes to give talks, but I realize not everyone is as strange as I am. Not many churches besides ours let lay members talk in front of the congregation, and the prospect can be nerve racking, intimidating, and downright scary. It gets even worse if you are unprepared. Yes, the Spirit can inspire you, but not if you haven’t spent time and energy preparing. And remember, “If ye are prepared ye shall not fear” (Doctrine and Covenants 38:30). 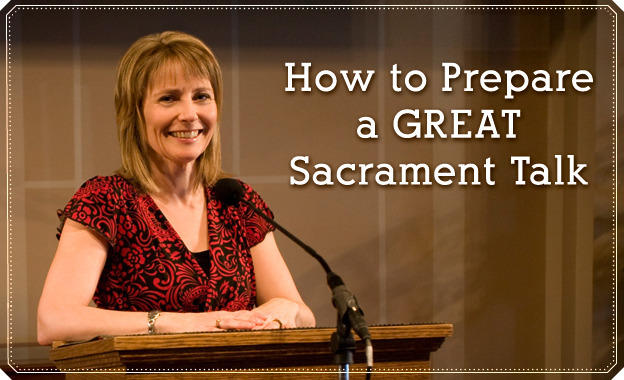 Here are some of the things I’ve learned throughout the years that have helped me prepare better sacrament talks. 1. Give Yourself Time: Use your scripture study during the days or weeks leading up to your talk to study about the topic. References such as the Bible Dictionary or Topical Guide can be great helps, as are talks from general authorities on the subject. It always helps me to create a master list of scriptures, quotes, stories, and examples that I may want to include in the talk. 3. Think About Your Audience: Ponder and pray about the people you will be speaking to and think about their needs and how you can address them. Seek inspiration through study and prayer as to what this specific group of people needs to hear. 4. Create an Outline: Just like writing an essay, it’s important to determine the main points you want to hit in your talk. The points should all tie in to the main topic, and ideally should all build upon each other. Think about what questions your audience could have and how you can address them as you outline your points. 5. Weave in Scriptures, Quotes, and Examples: Look at your master list and decide where to plug in different scriptures, quotes, and examples. Make sure that you have a good balance of all three to add variety to your talk. Have you ever noticed how the congregation perks up when the speaker is about to tell a story? 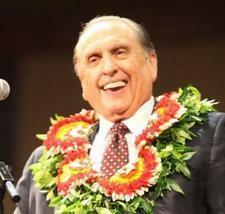 President Monson is a master at weaving in stories with doctrine. Read more about how you can follow his example and do the same effectively here. 6. Use Humor: Using humor is okay, as long as it doesn’t distract from the doctrine. Notice how Elder Holland included humor in his talk from October 2012 General Conference when he said, “What a bright prospect that is—downing another quart of pickle juice every time anyone around you has a happy moment!” He let the congregation have a quick breather, but he immediately moved on to the doctrine. 7. 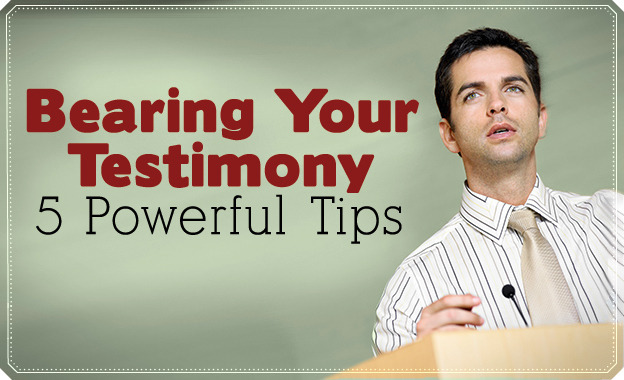 Testify: Testimony meeting shouldn’t be the only meeting where we hear testimony. Throughout your talk, testify of the principles you are teaching. The conclusion of your talk is a good place to testify of what you talked about and share how you have changed as a result of studying and living this topic. 8. Pray: Don’t forget to pray throughout the whole process. Pray for the people you will be speaking to and that you will be inspired to say what they need to hear. Pray that the Spirit will guide you to what you need to say and help you say it in an effective manner. Pray that you will be confident and peaceful as you give your talk. Remember that the Spirit is the teacher, not you. Have confidence in Christ, not in yourself, and He will help you do what may seem impossible at first. So next time you are assigned to give a talk, think of it as a blessing and an opportunity to learn and grow, because that’s just what it is! For tips on delivering your talk with polish, see our article on our top 10 public speaking tips.